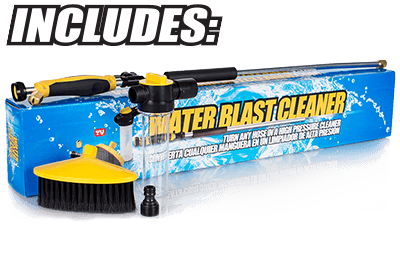 Water Blast Cleaner ™ turns any hose into a high pressure cleaner. 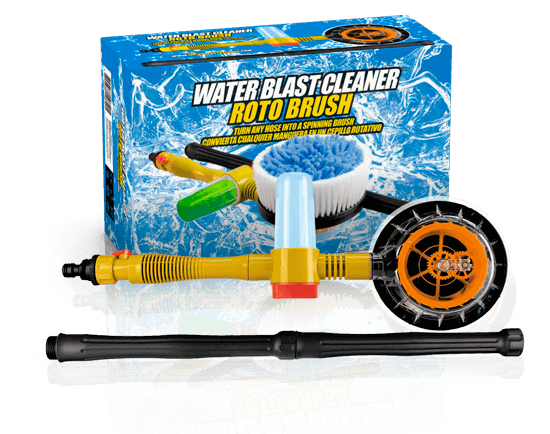 A fast an easy way to wash your car, terrace, windows, swimming pool and more. The adjustable nozzle lets you switch between jet and fan spray. Made of high quality materials (aluminium, strong plastic and brass). 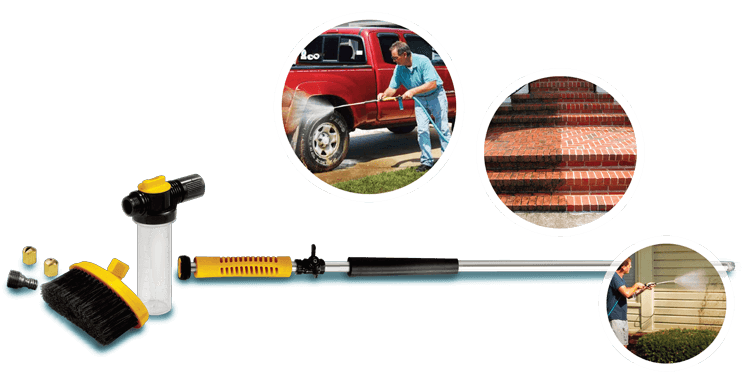 The kit includes hose connectors, jet/fan nozzles and brush. 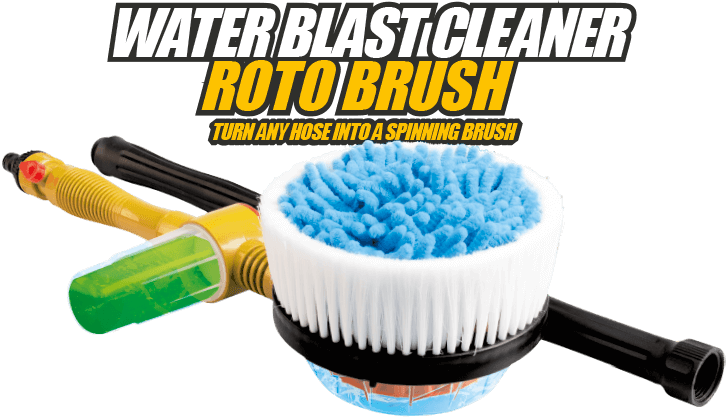 This spinning brush with soft microfibre and flexible bristles is the perfect solution to wash the car and other objects outdoors. It comes with a universal adapter and can be connected to hoses. Includes water pressure control, soap tank and adaptable handle. Simply open the tap to clean any surface in depth quickly and easily.